Restorative dentistry is restoring a tooth’s structure and aesthetics back to its optimal health and shape. If your smile has a cavity, severe tooth decay, a missing tooth, or experienced a traumatic accident, our restorative dental services are the solution for you. Learn more about our restorative services by selecting a photo. Your fully-trained restorative dentist uses tooth-colored fillings to restore teeth that have become damaged due to decay or trauma. Rather than use outdated amalgam (metal) fillings, Dr. Patel uses composite fillings that mimic your natural tooth. This makes these restorations discreet, yet very effective. 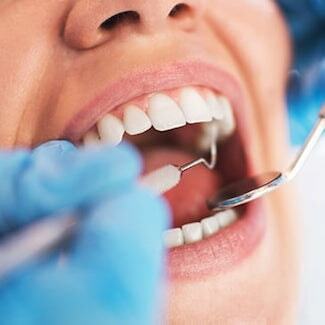 Fillings are simple to place, durable, and long-lasting. Your dentist will clean the affected tooth and use the composite resin, which will harden to protect the tooth from any further decay or infection. This restorative treatment is neither invasive nor uncomfortable. A dental crown is a common restoration used when a tooth is so severely decayed or damaged that a filling isn’t enough to save the tooth. Also known as a “cap,” a crown is placed on top of the damaged tooth and revives the tooth’s function and strength. Plus, it looks and feels like your natural tooth, blending seamlessly with your smile. 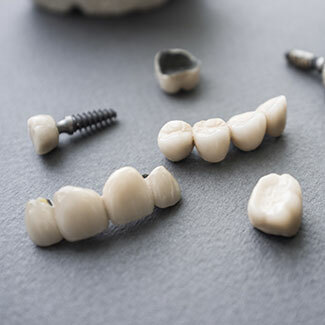 Traditionally, it would take multiple appointments to place your permanent crown. That’s not the case with Dr. Patel. By using modern technology, this Brentwood dentist takes your care to whole other level while making your visit comfortable. We’re proud to offer the CEREC Same-Day Technology, which crafts your crowns in just one visit. Unfortunately, our natural teeth do not last forever. If you have lost the majority of your teeth, dentures may be the best option for you. There are two common types of dentures: partial and full. As the name suggestions, partial dentures fill in the gaps where multiple teeth are missing. 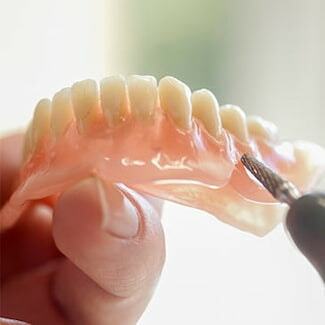 Full dentures are fitted when all teeth are missing on either the upper or lower jaw. If you get nervous about visiting the dentist or struggle to sit still for a long period of time, sedation dentistry can help you! 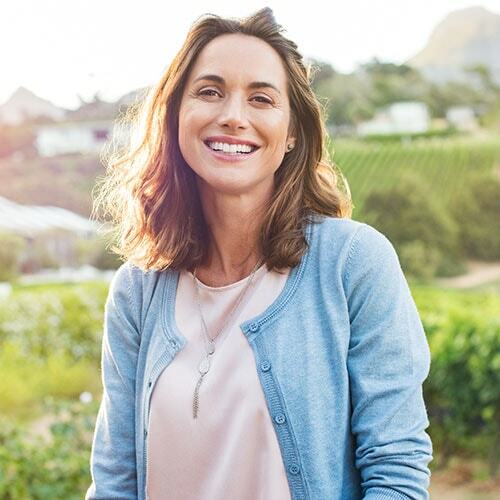 This innovative treatment uses sedation techniques to help you relax, eliminate discomfort, and you may forget about your dental visit altogether. All our sedation options are safe, and we stay with you throughout your treatment. Get the answers straight from our restorative dentist! Why should I choose Nashville Dentistry Co. for restorative dentistry? To deliver high-quality restorative dentistry, it’s essential we have the dedication and drive to stay on top of the latest advancements in dentistry while constantly improving our dental skills through continued education. This ensures you, the patient, are receiving the best dental care available to comprehensively restore your smile. When you arrive at Nashville Dentistry Co., you’ll immediately notice that passion from Dr. Patel and our highly-trained team. This expertise and our commitment to providing a comfortable, inviting atmosphere are all a part of our philosophy at Nashville Dentistry Co. It’s a place where people matter most. Every dental insurance coverage is different. However, insurance usually does cover a portion or all of the cost of restorative dental procedures. Restorative dentistry is seen as a means to repair teeth, which is vital for excellent dental health. Again, this all depends on your insurance provider. Give us a call at 615-797-8003 and our team will be more than happy to discuss your coverage. Will getting restorative dentistry hurt? Our team does everything possible to make sure your procedure is as painless as possible. With our modern technology combined with Dr. Patel’s caring demeanor, we’re confident you won’t feel any pain. Still nervous? 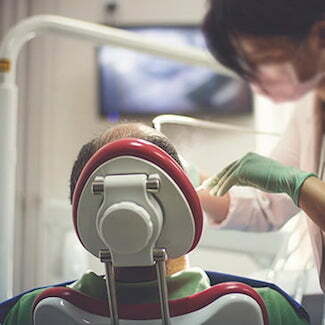 Our sedation dentistry can help you relax, eliminate any discomfort, and make your visits fly by.